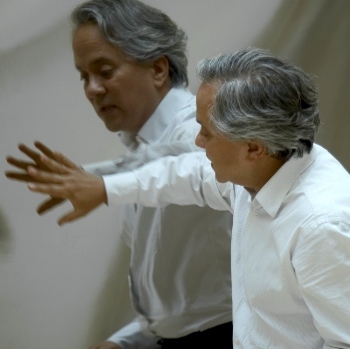 British-Indian artist Anish Kapoor has been revealed as designer of the artwork for Château Mouton Rothschild 2009. Kapoor (below) was born in Bombay in 1954 and is a prominent figure in contemporary art, as well as a winner of the Turner Prize in 1991. His sculptures have been displayed at New York’s Rockefeller Center and the Grand Palais in Paris and he was commissioned to design the “emblematic sculpture” for the London Olympic Games next year. Kapoor joins the ranks of Dali, Picasso, Warhol, Chagall, Bacon, the Prince of Wales and Balthus who have all designed artwork for the estate since the practice became established in 1945 with Philippe Jullian and his “V” for victory label. All of the artists are today chosen by Baroness Philippine de Rothschild and often depict certain themes such as grapes, vines and the ram with which the château is so closely associated. 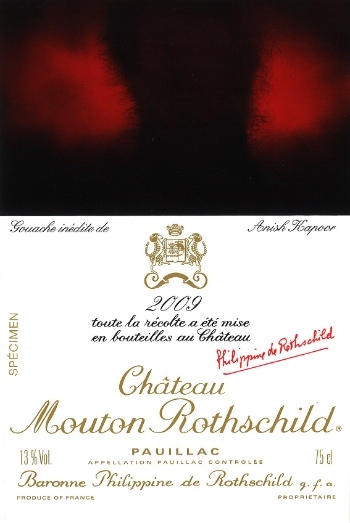 Artists receive no fee for their work but instead are given cases of “their” vintage of Mouton Rothschild. The last artist to design the label was Chinese painter Xu Lei for 2008. The hype surrounding the selection of a Chinese artist drove prices up in a move that was said to have been inspired by Lafite’s “lucky eight” character on bottles of its own 2008 offering. The effect of Kapoor’s commission on sales of the 2009 vintage is yet to be seen but this time last year it was one of the poorest performers of the latest releases.